Throughout the world, children flee peril in their place of origin, but often they exchange one set of dangers for another. 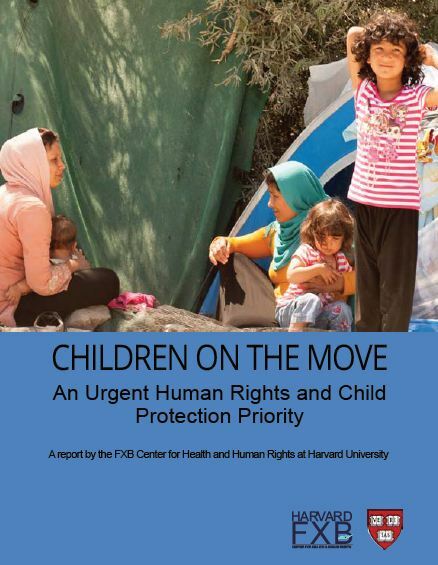 A new report published today by Harvard University’s FXB Center for Health and Human Rights finds that protection for children on the move, particularly during time of transit, is lacking worldwide. At this critical point in which the intersection of mass migration, global inequality, and child violence is increasingly under public scrutiny, only a coordinated, multi-level response will effectively increase protective environments for young people at risk of exploitation and abuse and promote their healthy growth and development into adulthood, whether or not they migrate. The report is available from the Children on the Move page of the FXB website.